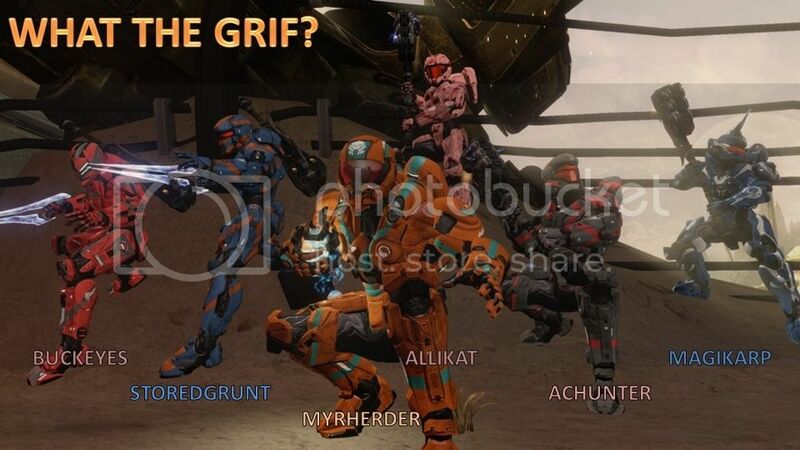 What the Grif? was founded in part by D Apollo S and Sp0nY as a seed team for Grif Reapers and Fedora Nation Association (FnA). WtG's initial roster consisted of veteran players CharMonkey and ACHunter, along with rooky players bombproofSNOOCH, Hoya17, Spiff Bat (later known as MyrHerder), and SpiritGosu. While playing in the inaugural season of AGLA in Halo: Reach, newly-promoted captain MyrHerder participated in an on-line survey provided by GrifballHub.com; this is how MyrHerder discovered the much more casual GGL and convinced ACHunter and Kalas II to stay with the team as they switched from AGLA to GGL. Thanks to the league's openness towards game types and the optional award system called Achievables, WtG earned a place in post-season playoffs 4 out of 5 seasons (the 5th season, SML12, had no Achievables due to a data issue).